The materials on this Web site (the "Site") are provided by Future Air ("Future Air") as a service to its members and the general public and may be used for informational purposes only. Single copies of provided files or documents may be downloaded subject to the provisions below. By downloading any materials from this site, you agree to these terms. If you do not agree to them, do not use the site or download any materials from it. Materials on this Web site were produced and/or compiled by Future Air for the purpose of providing Canadians with direct access to information about the programs and services offered by Future Air. The material on this site is covered by the provisions of the Canadian federal Copyright Act, by Canadian laws, policies, regulations and international agreements. Such provisions serve to identify the information source and, in specific instances, to prohibit reproduction of materials without written permission. Some of the materials and graphical elements found on Future Air Web sites may be subject to copyrights held by other organizations. In such cases, some restrictions on the reproduction of materials or graphical elements may apply and it may be necessary to seek permission from the rights holder prior to reproducing the material. Links to Web sites not under the control of Future Air are provided solely for the convenience of users. Future Air is not responsible for the accuracy, currency or the reliability of the content. 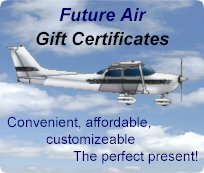 Future Air does not offer any guarantee in that regard and is not responsible for the information found through these links, nor does it endorse the sites and their content. The materials at this Site are copyrighted and any unauthorized use of any materials at this Site may violate copyright, trademark, and other laws. You may download one copy of the information or software ("Materials") found on this site on a single computer for your personal, non-commercial internal use only unless specifically licensed to do otherwise by Future Air in writing or as allowed by any license terms which accompany or are provided with individual Materials. This is a license, not a transfer of title, and is subject to the following restrictions: you may not: (a) modify the Materials or use them for any commercial purpose, or any public display, performance, sale or rental; (b) decompile, reverse engineer, or disassemble software Materials except and only to the extent permitted by applicable law; (c) remove any copyright or other proprietary notices from the Materials; (d) transfer the Materials to another person. You agree to prevent any unauthorized copying of the Materials. Materials are copyrighted and are protected by worldwide copyright laws and treaty provisions. They may not be copied, reproduced, modified, published, uploaded, posted, transmitted, or distributed in any way, without Future Air's prior written permission. Except as expressly provided herein, Future Air and its suppliers do not grant any express or implied right to you under any patents, copyrights, trademarks, or trade secret information. Other rights may be granted to you by Future Air in writing or incorporated elsewhere in the Materials. Future Air may terminate this license at any time if you are in breach of the terms of this Agreement. Upon termination, you will immediately destroy the Materials. THE MATERIALS ARE PROVIDED "AS IS" WITHOUT ANY EXPRESS OR IMPLIED WARRANTY OF ANY KIND INCLUDING WARRANTIES OF MERCHANTABILITY, NON-INFRINGEMENT OF INTELLECTUAL PROPERTY, OR FITNESS FOR ANY PARTICULAR PURPOSE. IN NO EVENT SHALL FUTURE AIR OR ITS SUPPLIERS BE LIABLE FOR ANY DAMAGES WHATSOEVER (INCLUDING, WITHOUT LIMITATION, DAMAGES FOR LOSS OF PROFITS, BUSINESS INTERRUPTION, LOSS OF INFORMATION) ARISING OUT OF THE USE OF OR INABILITY TO USE THE MATERIALS, EVEN IF FUTURE AIR HAS BEEN ADVISED OF THE POSSIBILITY OF SUCH DAMAGES. BECAUSE SOME JURISDICTIONS PROHIBIT THE EXCLUSION OR LIMITATION OF LIABILITY FOR CONSEQUENTIAL OR INCIDENTAL DAMAGES, THE ABOVE LIMITATION MAY NOT APPLY TO YOU. Future Air and its suppliers further do not warrant the accuracy or completeness of the information, text, graphics, links or other items contained within these materials. Future Air may make changes to these materials, or to the products described therein, at any time without notice. Future Air makes no commitment to update the Materials. Except as otherwise agreed in writing with an authorized Future Air representative, any material, information or other communication you transmit or post to this Site will be considered non-confidential and non-proprietary ("Communications"). Future Air will have no obligations with respect to the Communications. Future Air and its designees will be free to copy, disclose, distribute, incorporate and otherwise use the Communications and all data, images, sounds, text, and other things embodied therein for any and all commercial or non-commercial purposes. You are prohibited from posting or transmitting to or from this Site any unlawful, threatening, libellous, defamatory, obscene, pornographic, or other material that would violate any law. Future Air may, but is not obligated to, monitor or review any areas on the Site where users transmit or post Communications or communicate solely with each other, including but not limited to blogs, chat rooms, bulletin boards or other user forums, and the content of any such Communications. Future Air, however, will have no liability related to the content of any such Communications, whether or not arising under the laws of copyright, libel, privacy, obscenity, or otherwise. This site is controlled by Future Air from its offices within Canada. Future Air makes no representation that Materials in the site are appropriate or available for use in other locations, and access to them from territories where their content is illegal is prohibited. Those who choose to access this site from other locations do so on their own initiative and are responsible for compliance with applicable local laws. Any claim relating to the Materials shall be governed by the internal substantive laws of the Province of Ontario. Future Air may revise these Terms at any time by updating this posting. You should visit this page from time to time to review the then-current Terms because they are binding on you. Certain provisions of these Terms may be superseded by expressly designated legal notices or terms located on particular pages at this Site. The Future Air Web site does not automatically gather any specific personal information from you, such as your name, phone number or e-mail address. We would only obtain this type of information if you supply it by filling out the appropriate form at one of our offices or by sending us an e-mail or registering on the site. All personal information created, held or collected by Future Air is protected under the Canadian federal Privacy Act. Future Air reserves the right to employ software programs to monitor network traffic to identify unauthorized attempts to upload or change information, or otherwise cause damage. This software may receive and record the Internet Protocol (IP) address of the computer that has contacted our Web site, the date and time of the visit and the pages visited. We make no attempt to link these addresses with the identity of individuals visiting our site unless an attempt to damage the site has been detected. Information on individual visitors is used by the Future Air staff who need to know the information in order to respond to your request or to ensure the security of this system. We only share the information you give us within the constraints of the Canadian federal Privacy Act. We do not use the information to create individual profiles, nor do we disclose this information to anyone outside Future Air or the appropriate legal authorities when presented with appropriate legal documentation. If you are not satisfied with our response to your privacy concern, you may wish to contact the Canadian Office of the Privacy Commissioner.